Enhancing onboarding processes is key for institutions looking to improve the overall customer experience. Boston, March 9, 2016 – A business customer’s onboarding experience often sets its impression of the bank. Regulatory requirements, siloed databases, and manual workflows often result in inefficient, lengthy processes that place banks at risk of frustrating new customers or, worse, losing business due to incomplete applications. 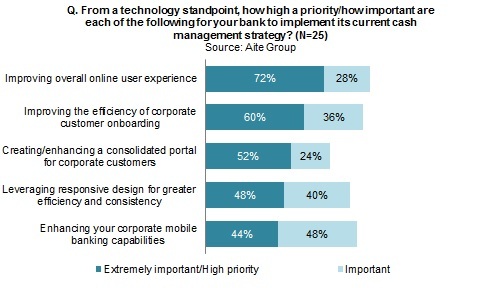 Luckily, banks recognize the need for improvement in this area, and bank IT investments in onboarding solutions could increase over the next few years. This research highlights banks’ key challenges during the small-business and corporate customer onboarding processes. It also analyzes banks’ likelihood to invest in the area and their expectations for new offerings. It is based primarily on the results of a January to February 2016 Aite Group survey of 21 large banks. This 18-page Impact Note contains 13 figures. Clients of Aite Group’s Wholesale Banking & Payments service can download this report.